Take one capsule 30-45 minutes before intimate activity. Response may vary from person to person if more intensity is desired, take two capsules. If you experience an erection lasting more than 4 hours, contact your physician immediately. Use as directed. If you are using any prescription drug, or have a medical condition, consult your physician before using this product. 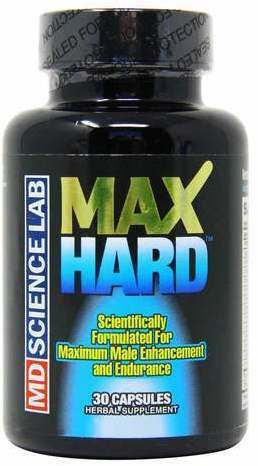 Scientifically Formulated for Maximum Male Health and Endurance! Gets You Hard. Keeps You Hard... Like you've never seen before. The advanced natural formulation of MAXHard is quite possibly the finest and most comprehensive available in the world. works fast to give you incredible erections and ultimate staying power with increased excitement and endurance.